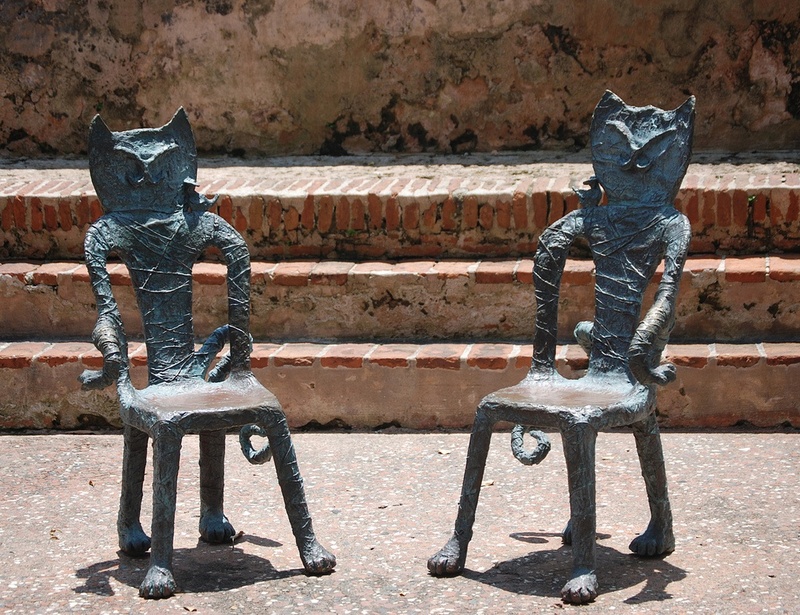 Two Cat Chairs Soak in the Sun in Old San Juan. Earlier this month, I had a wonderful time on a Girls' Getaway in Puerto Rico. I was with my sister and her daughter. One morning the three of walked around beautiful Old San Juan. It was hot and we moved slow. 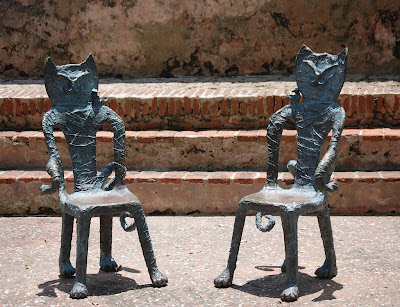 We passed by a small park and spotted these two bronze cat chairs lounging in the sun. (Where else would you find two kitties?) Notice the curly tails and the big paw feet. So adorable. And of course as we are all cat lovers we had to take a picture. 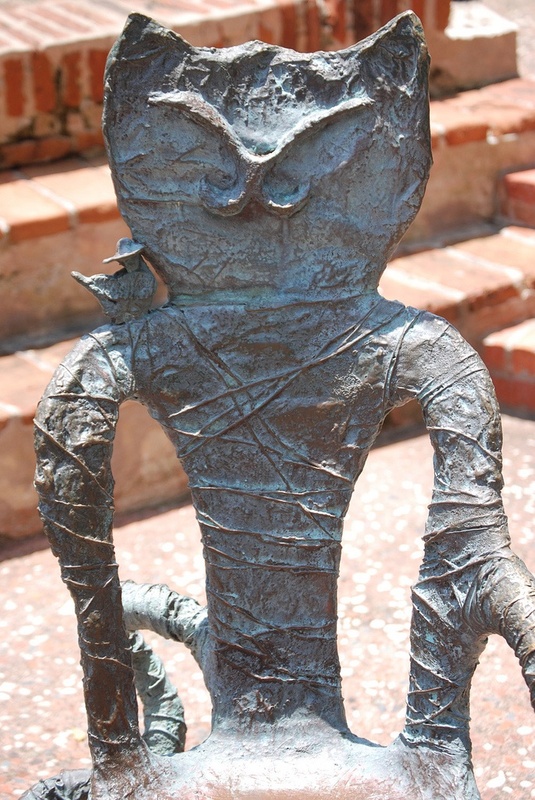 Here is a shot of the detail. We think there is a tiny guitar player perched on the shoulder of each of the gatos grandes. So cool! I love them! Oh these kitty chairs are adorable!! I love the curly tails, they are just so cute! Girl's getaway sounds fun too. I'd love to visit Puerto Rico someday. And if I do, I will look for these chairs!